It was a very hot and humid Tuesday evening at the Verizon Wireless Amphitheater in Charlotte, NC. But when Motley Crue finally took the stage, they made it feel like it was 200 degrees. It was a night filled with loud guitars, pyrotechnics and all the metal you could handle. Poison, supporting act, entered the stage first and cranked out “Look What the Cat Dragged In.” Their fans were in for a treat since Poison played their biggest hits. Brett Michaels, lead singer and reality TV star, worked the crowd, constantly giving fist bumps to fans in the first few rows. He said he was very grateful of the fan’s support of the band for 25 years and during his own personal health scares last year. They performed covers of Grand Funk Railroad’s “We’re An American Band” and Loggins and Messina’s “Your Mama Don’t Dance.” This is when Michaels exhibited his harmonica playing skills. They closed the show with their massive hits “Every Rose Has Its Thorn,” “Talk Dirty to Me” and “Nothin’ But A Good Time.” Poison exited the stage; they really did give the fans nothing but a good time. Vince Neil, lead singer, promised they would play all of their hits, and they didn’t disappoint. They had 30 years of material to cover, and they were successful. A piano was brought to center stage for Tommy Lee to play “Home Sweet Home.” All four members extended their hands to the center of the piano to show the unity of the band. Tommy Lee was a monster on drums, especially when he performed his solo while on the 360-degree drum roller coaster. They even grabbed an audience member to take a ride with him. Tommy Lee told the crowd that the drum kit was “running a little hot.” But he cranked it up anyway when it was time to play “Girls, Girls, Girls.” He emulated the signature motorcycle sound at the beginning with the drums. Nikki Sixx also delivered a stellar bass performance throughout the evening. 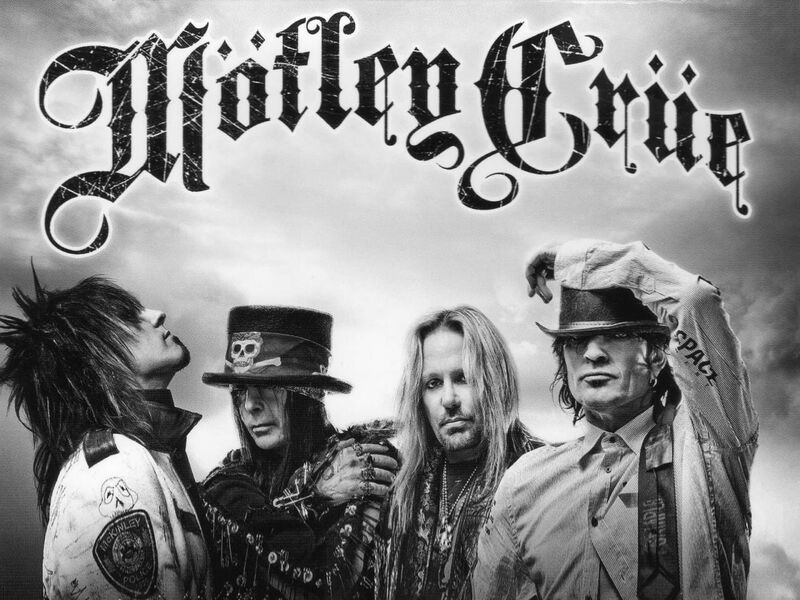 Motley Crue delivered on their promise to rock the amphitheater. They put on a first-class performance for all of their fans in Charlotte. Motley Crue showed no signs of slowing down with their in-your-face rock.